After waiting weeks for these pictures we finally have them! 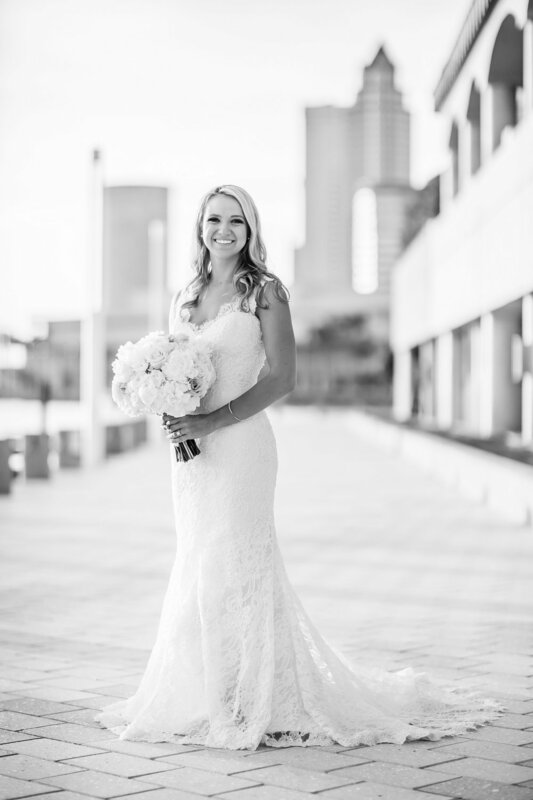 So excited to show off our stunning bride Ainsley. 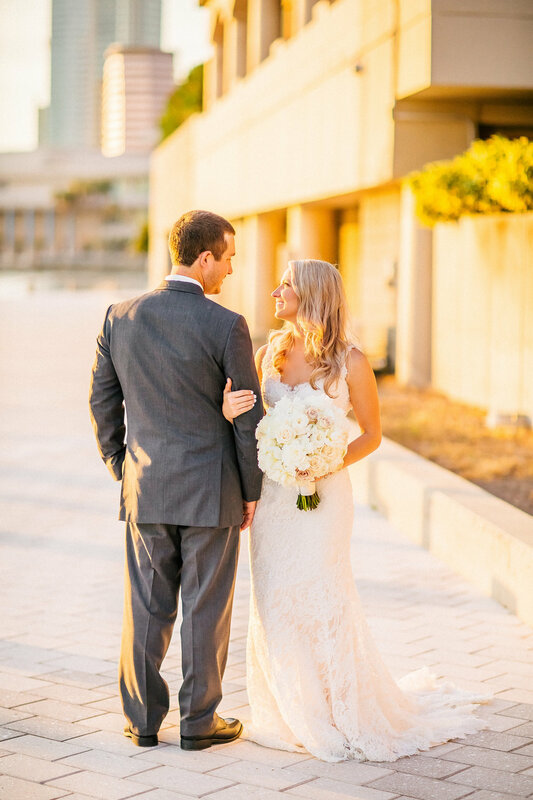 Ainsley was married to her hubby on June 25th. She wore a stunning Legends by Romona Keveza gown from the Spring 2015 collection. The natural waist of this gown, chapel length train, pearl beaded Alencon lace, and keyhole back make it equal parts unique and beautiful. 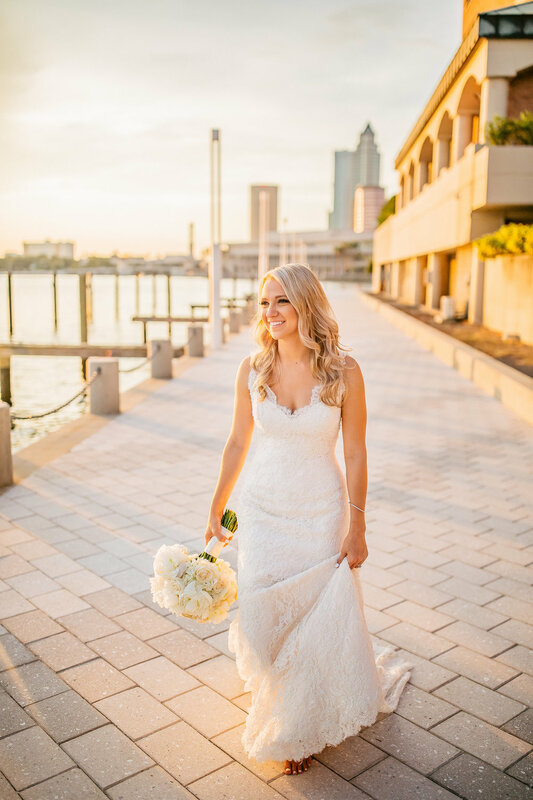 Ainsley accented her Isabel O'Neil Bridal Collection dress with the perfect cathedral veil from Anglo Trousseau. IOBC: How did you and your husband meet? Ainsley: Up until about two months ago I worked at Johnsons Barbecue in Plant City. One day, in came Garrett with his older sister and parents. Later that afternoon he randomly followed me on Instagram and after that social media wrangled me in. He farms strawberries. About two weeks later, after being up all night during a freeze, he messaged me on Facebook. In his words he was delirious, but hey, we had our first date and the rest is history. Thanks to his delirious messaging I'm blessed with the best husband and couldn't be happier to spend the rest of my life with him. IOBC: What is your favorite memory with him? Ainsley: It's so hard to try and pin down just ONE favorite memory with him. No matter what we always have a great time. The first memory that pops into my head is our third date. We went to Olive Garden and not only did I finish all of my food but I finished the other half of his as well. He was very persistent that I needed to try his because he was done. Well, I tried it...and I finished it. To this day we still laugh about it and his family still know that I am the girl that goes back for seconds. IOBC: We love that about you! Any funny moments on your wedding day? Ainsley: The funniest moment looking back now had to be how nervous I actually got about thirty minutes before the ceremony. I was getting antsy in my suite because I was zipped into my dress and I wasn't allowed to leave my room yet. To make myself feel better I was blaring "Unsteady" by X Ambassadors and remixing it about passing out in my dress. Once they lined my bridal party up outside my suite, it was just me and my mom left in the room. I proceeded to stand in front of the mirror and sing and dance to "Stand by You" to keep my mind calm until someone told me I was finally allowed to leave my suite. When I told Garrett about it later that night he laughed. Every time we hear those songs now he just looks at me and chuckles. IOBC: How did you know that this was THE dress? 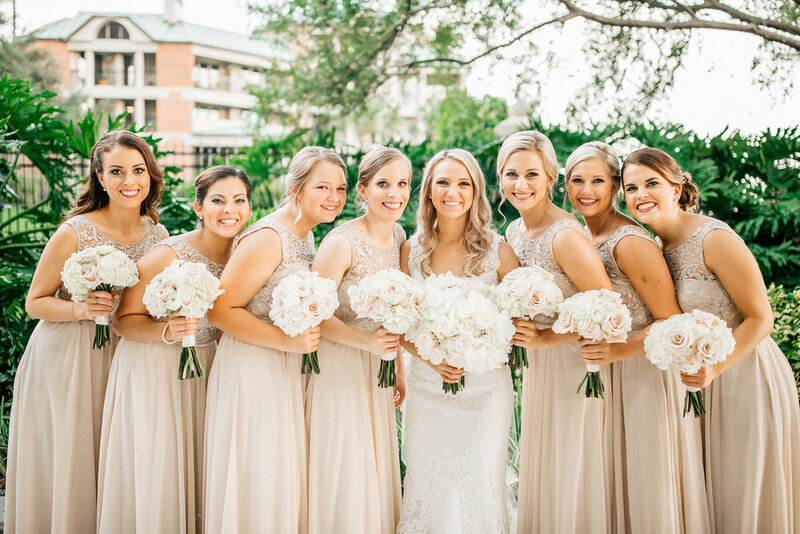 Ainsley: IOBC was the second of bridal shops that I visited during my day of dress shopping. We pulled about eight dresses and I honestly loved the way I looked in them all. What helped me most was when my stylist Alex looked at me and said, "You're gonna look great in them all. It's all about choosing what kind of bride you want to be." Two dresses after Alex's encouraging words, I walked out in the dress of my dreams. I loved everything about it and everyone in the room from my mom to my mother-in-law had tears in their eyes. It made me feel so beautiful and I knew Garrett would absolutely love me in it. There was no doubt at that point that I had found my dress. IOBC: What advice do you have for brides searching for their gown? Ainsley: I would tell other brides to be confident in what YOU want, not what others want for you. 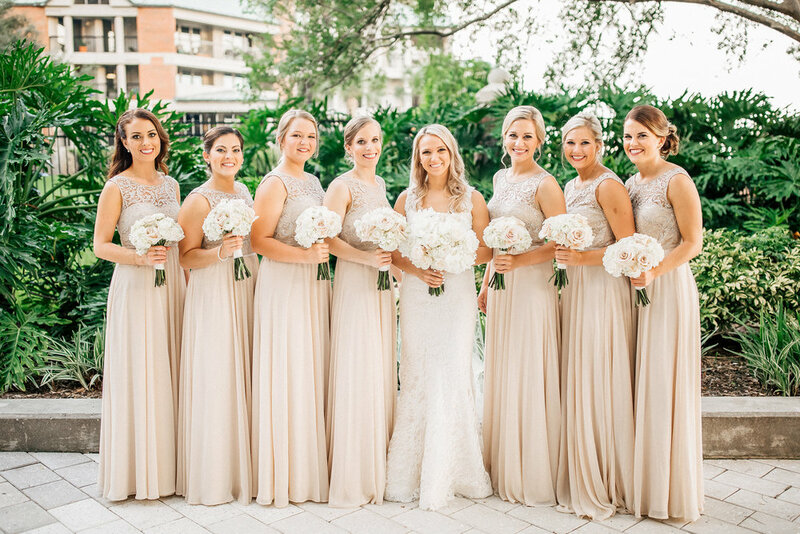 Your wedding day is about being the bride you've dreamt of. 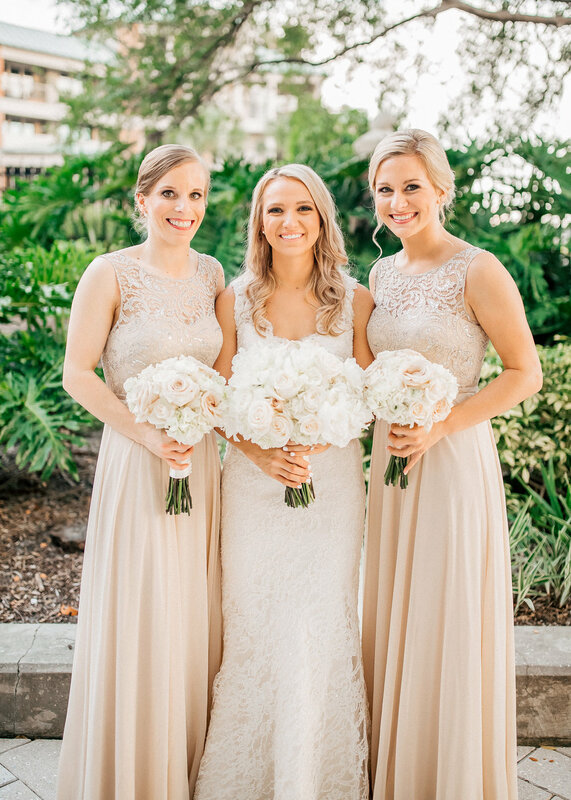 You're going to look beautiful in multiple dresses, in the end it comes down to the bride you want to be on your big day. Don't let anyone sway you away from following your heart. 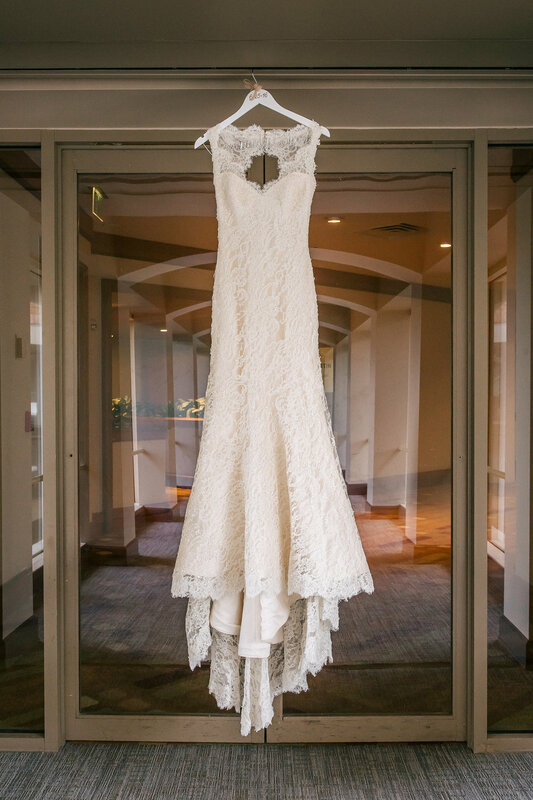 "Two dresses after Alex's encouraging word, I walked out in the dress of my dreams. I loved everything about it and everyone in the room from my mom to my mother-in-law had tears in their eyes. It made me feel so beautiful and I knew Garrett would absolutely love me in it. 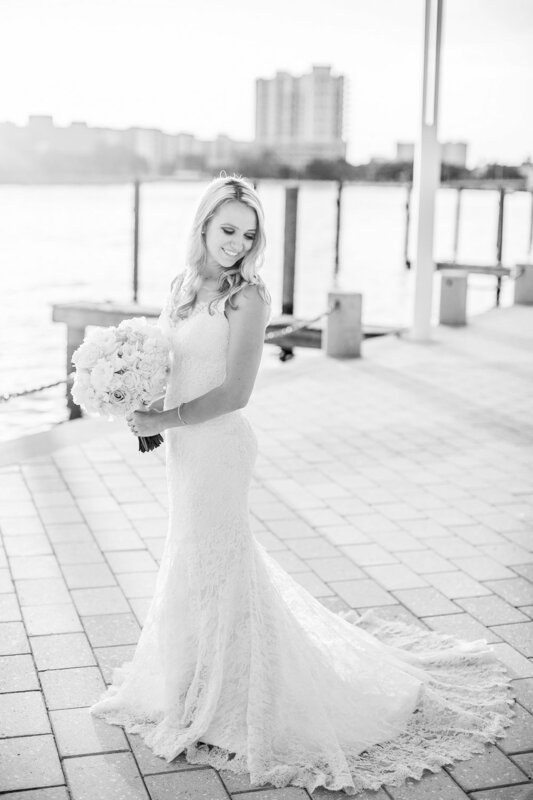 There was no doubt at that point that I had found my dress."